Chukka boots are the leather boots that go up to your ankle, made with leather or rubber soles and open lacing made up of two to three eyelets. A versatile pair of shoes, chukka boots can be worn with a suit or with a casual jeans and shirt look. 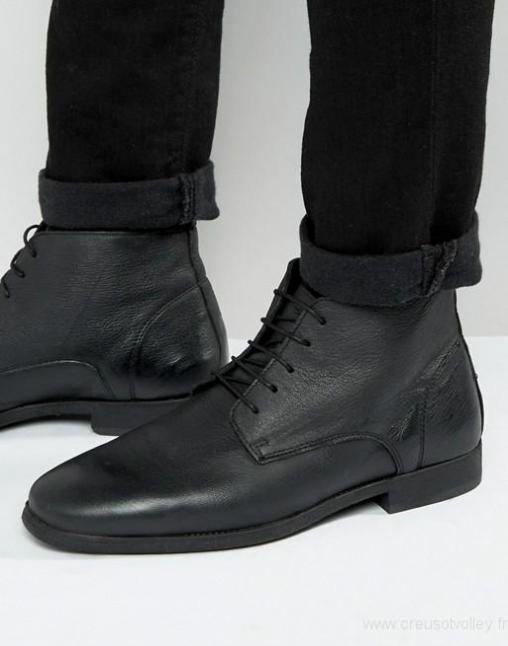 Men’s chukka boots are rounded at the toe that softens the look of the functional boots that has become a favourite in the male London fashion scene. The HARKEN chukka boots from Steve Madden are the cheapest on the list, going for 90 USD on their website. The leather material is very supple and not harsh on your feet, and lends a rustic feel to your entire look. The one-inch heel on the man-made sole is light on the feet. Perfect for the more casual days wearing your jeans but dressy enough to pair with khakis or chinos to a Friday casual office wear. Timberland makes their shoes appear well-worn but well-maintained, with the Horween leather hand finished to perfection. The modern and contemporary style of the Lost History line ties together the traditional desert boot design in a neat bow using waxed cotton laces. The rubber heel gives you traction and flexibility. The Bardstown Chukka Boots from Timberland have the rugged but not ragged look of old boots with the refined architecture of modern-day shoes. The laces are made with organic cotton that makes tying your laces soft on the hands. The leather-lined footbeds serve as shock absorbers. Perfect for smart casual event that you have to attend for work. The “distressed leather boots” are given an upgrade in Ugg’s Leighton chukka boots. The two toned full-grained leather has the crinkled texture of well-worn boots but the comfort of the interchangeable insoles. The insoles can be switched back and forth between natural wool and traditional boot cushioning. The natural crepe sole is light on the feet, giving you an experience similar to walking on air. The original desert boots were first made by C & J Clark, now known as Clarks, so it’s no wonder that they’ve furthered developed their iconic design. Their suede desert boots are held to a crepe sole and lined with leather material for a sturdy and trusty design. Clarks recommend that you use this particular desert boot in a casual or smart casual setting.